Destination Checkpoints is a contemporary art project proposing an unusual journey through the West Bank, exploring the new monuments which punctuate its landscape. Does the sensation of beauty have a relationship with power? With this project, I extend a reflection which I had begun with the photographic exhibition The Political Body. Following on from those close-ups of hands or faces, are images of a landscape redrawn by the line of the Dividing Wall, the colonies, and the numerous checkpoints which punctuate the day-to-day of the Palestinians and limit their horizon. My approach is to provoke an aesthetic sensation from the experience of the tools of control and repression. The project grew over the several trips that I made to the area. These allowed me to reflect on tourist roamings within an ultra-security context, and on the capacity of the traveler to take position when faced with images which the state emphasizes in order to show itself welcoming. The project is shown to the public through an exhibition reflecting the city, consisting of photos of chosen parts of the West Bank wall and the surrounding area. Formally, Destination Checkpoints partly mirrors tourist promotional images. Postcards, posters and a catalog of sites to be visited emphasize the security aesthetics which have so branded the landscape of the West Bank. The exhibition includes real-time unedited footage shot at checkpoints, testifying of the wait and the constraint, but also of suspended time - offering the spectator the chance to experience this directly. Fixed shots of conversations with people who live and work on the ground will also be screened in the same context. The exhibition is staged to follow a coherent itinary, in order to provide the sensory experience of a tourist wandering through the West Bank. Subsequently, the exhibition will become itinerant. It will travel in a mobile set-up reminiscent of an ambulance. Recurring elements throughout the checkpoints areas, just like taxis in cities, ambulances have come to symbolize both urgency and patience. Like everyone else they wait to cross to the other side, but their omnipresence recalls the permanent urgency of the situation. The exhibition will make stops in several Swiss and European cities on its way to Palestine and can be followed by geo-localization. The main stops will be punctuated with events which will be broadcast on the project’s web site. Destination Checkpoints is partially supported by the City of Geneva and the Canton of Geneva. The exhibition will take place throughout various cultural institutions and urban spaces in Geneva from May 23rd 2013. The exhibition consists of photographic sequences and videos which will be mainly exposed in private spaces. Postcards will be made available in public areas, and posters in town will show the most representative landscapes of the current West Bank. A tourist catalog of the Palestinian landscape modified by the Israeli security architecture will also be distributed to interested travelers. I need your help to realize the itinerant version of the exhibition which will set off aboard a vehicle reminding an ambulance, and it through Europe, after the exhibition in Geneva. This project ended successfully on 30/5/2013 10:00! You will receive three postcards + an invitation for the private viewing of the exhibition in Geneva. You will receive a T-shirt with a drawing of Mix and Remix in support + 3 postcards + an invitation for the private viewing of the exhibition in Geneva. You will receive a T-shirt with a drawing of Mix and Remix in support + 15 postcards (special edition) + an invitation for the private viewing of the exhibition in Geneva. You will receive a numbered and signed poster + 15 postcards (special edition) + an invitation for the private viewing of the exhibition in Geneva. You will receive 3 posters of Destination Checkpoints, numbered and signed + the DVD (videos Destination Checkpoints) + an invitation for the private viewing of the exhibition in Geneva and the other exhibitions in Europe. You will receive a photography of the exhibition with choice (37x55cm maked up on aluminum and signed + the DVD (videos Destination Checkpoints) + an invitation for the private viewing of the exhibition in Geneva and the other exhibitions in Europe. 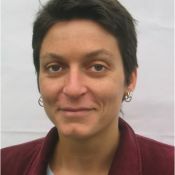 A graduate of the École supérieure d’art visuel (ESAV, today called the Haute École d’Art et de Design, HEAD), Ariane Arlotti lives and works in Geneva. Her artistic research stems from photography, where she has developped the themes of portrait and auto-portrait (Portraits aux fruits, 2001 ; Portraits aux pierres, 2002 ; Autoportraits à deux, 2003). The spectator’s gaze forms an integral part of her work (Vous êtes étranger ? À quoi, 2002 ; Hétéropride2050, 2004). She has set up two collectives which intervened in the public space, l’Organisation mondiale de la réflexion, OMR (2001-02) and les Artistes associés homosexuels, AAH (2002-06). In 2008, Ariane Arlotti begins her artistic research on the allegoric body. She presents the exhibition Le Corps politique, and prepares the next two installments, the « religious body » and the « athletic body » Since 1996, she alternates between her artistic activities and photographic assignments for cultural institutions and private organisations in Switzerland and France. She has also been a City of Geneva councillor (2007-11).